It has usually been difficult to use mobile phones to browse the web to access information. One of the main reason is the keying in of the URL through the mobile keypad is too much of an hassle. Multiple keystrokes is required before a letter can be typed in. With modern mobile phones equipped with cameras, things have started to change. 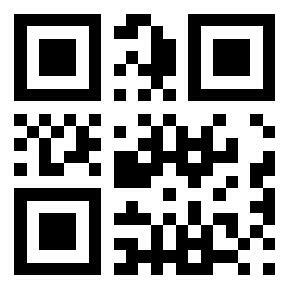 A 2-dimensional barcode, for example QR Code or Data Matrix, can be encoded with URL information. This barcode is then printed and sticked on prominent areas. For example, you might see a 2D barcode in a tourist spot. Mobile phone users will then just need to use their phones to capture the 2D barcode. Their phones will then automatically decode the barcode and use the URL to goto the world wide web to retrieve the necessary information. This will save users a lot of time in keying in the URL. In a way with the camera feature and 2D barcode, we now have a 'new mobile phone keyboard'. This is an Open-Source project hosted in Sourceforge started by Yusuke Yanbe. It is developed in Java and is using the public domain QR Code barcode. Barcoderesource.com will be actively promoting this project. Tutorials on running and understanding this software will be made available soon. We will also like to encourage everyone to participate in this project!